Programming and support for Myaamia students—each activity, project, class, and visit—are but one part of the much broader, continuously developing relationship that has developed over the years between the Miami Tribe and Miami University. Bobbe Burke is the University's Coordinator of Miami Tribe Relations. 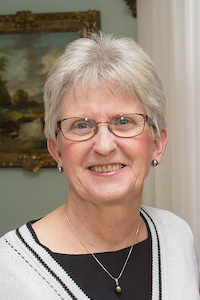 She serves as an on-campus resource for Myaamia students. A Miami University graduate and active participant in community organizations and initiatives in the City of Oxford, Bobbe leverages her working knowledge of the campus and Oxford communities to assist Myaamia students and the Myaamia Center in identifying and making local connections that can produce significant partners. Bobbe's earliest associations with the Miami Tribe, in 1991 and 1992, were coordinating the first on-campus educational events involving Tribal officials and visitors. In 1994, she was appointed Coordinator of Miami Tribe Relations and has held that position since. She uses her longevity and research in this position to document an ongoing chronological record of interactions, activities, and events between the University and the Tribe. Indeed, she compiled much of the history of this relationship. Kara Strass is newly employed as the Miami Tribe Relations Assistant for the Myaamia Center and she will assist in a variety of capacities to support the Myaamia students at Miami. Kara served as the Graduate Assistant for the Myaamia Center from 2016 -2018 and completed her M.S. in Student Affairs in Higher Education at Miami in May 2018. Kara is an enrolled citizen of the Miami Tribe of Oklahoma who grew up in Huntington, Indiana and has enjoyed a strong family and community connection to her Myaamia heritage. In general, the Coordinator seeks to intentionally plan and monitor the University's activities that involve the Miami Tribe to both ensure they are educational and reflect the University's close partnership with the Tribe and to seek ways to develop new programming that can enhance both the Tribe's and the University's communities. Communicating with potential Miami Tribal student applicants (and their family members) to address application needs/questions and direct them to unique opportunities and resources (e.g., Bridges Program, Heritage Award Program). Supporting Myaamia students once they become enrolled at Miami by offering developmental support and encouragement through one-on-one meetings, monitoring of grades, and advising students through typical student development stages. Working to enhance each Myaamia student’s individual experience with the goal of helping them succeed academically and graduate from Miami University. 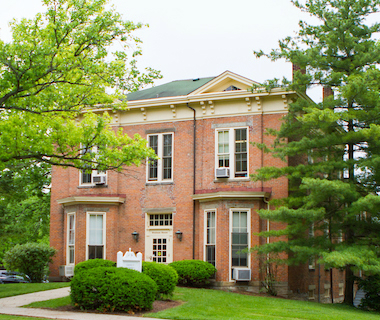 Students, faculty, and staff are encouraged to become better informed about the history of the relationship that exists and to explore making current connections. Anyone interested in more information about the Miami Tribe or associating with them should contact Bobbe Burke, Coordinator of Miami Tribe Relations.